Go straight to campus map. Please note that AHEAD is not open to the public and does not run a drop in service. These directions are for deliveries and pre-arranged meetings only. 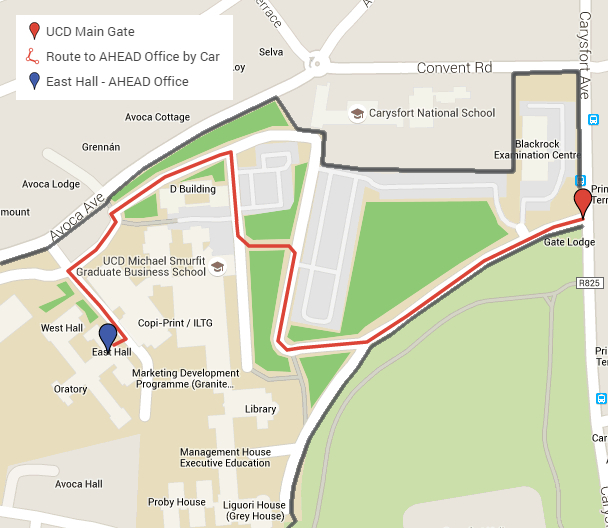 Directions on Campus: Enter through the main gate on Carysfort Avenue. Stay on the main road as it veres right and then left. Take a right (when a left would bring you to Main Reception) and head towards the campus wall - you'll pass a white building (Building D) on your left. When you reach the stop sign with the campus wall in front of you, take a left and a left again at next stop sign. 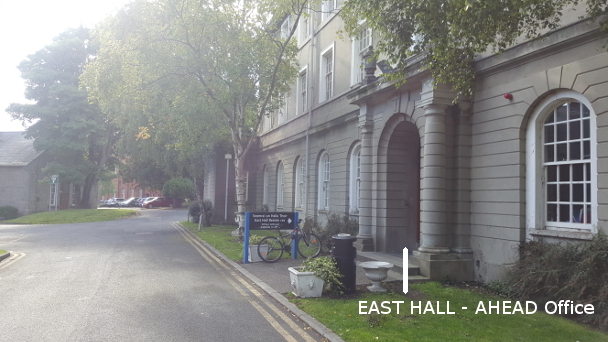 East Hall is on the right after 50 metres. Use the map below or click here to use the interactive google map.